A team of MARVEL researchers of both the group of Prof. Oleg Yazyev at EPFL and the group of Prof. Matthias Troyer at ETHZ have predicted the existence of Weyl fermions in two Weyl semimetals, molybdenum diphosphide and tungsten diphosphide. The scientists used a high-throughput computational method screening a large database of existing materials, performing electronic-structure computations for each candidate. Weyl fermions are massless chiral particles that can emerge under the appropriate conditions in crystalline materials. 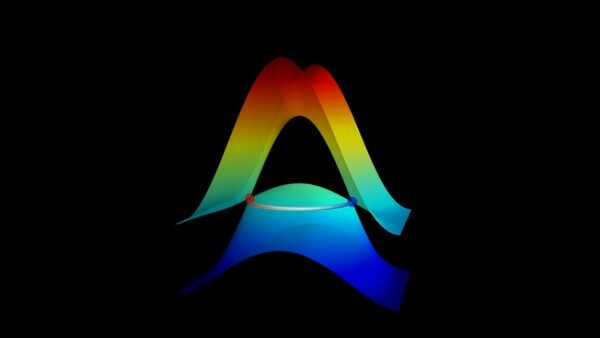 Because of their massless character, the Weyl fermions are very efficient at conducting electric charge and could be used to create high-speed electronic circuits and even quantum computers. Using high-throughput computational methods, EPFL scientists have now predicted the presence of a new kind of Weyl fermions in two semimetals, molybdenum and tungsten diphosphide, making them easy to study experimentally.